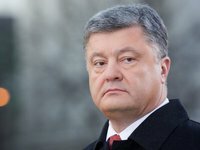 The movement of Ukraine towards Europe will help increase the implementation of joint Ukrainian-European projects, President of Ukraine Petro Poroshenko has stated. "If we continue our movement to Europe, the number of European projects will only grow. And this is not only technical assistance but also access to huge financial resources," Poroshenko said at a meeting of the Regional Development Council of Odesa region. He stressed there is not a single meeting with the leadership of the European Union without discussing the issue of finance. The president noted the "special project in connection with Russia's aggression in the Sea of Azov aimed at the Azov coast, support of Mariupol, Berdiansk" and promised that there would be enough money for the Black Sea coast and the Danube. The head of state also counts on a consultative center for access to international financial resources, which is being created under the Ministry of Regional Development, Construction, Housing and Utilities Services, which will help find funds for the development of Ukrainian regions.